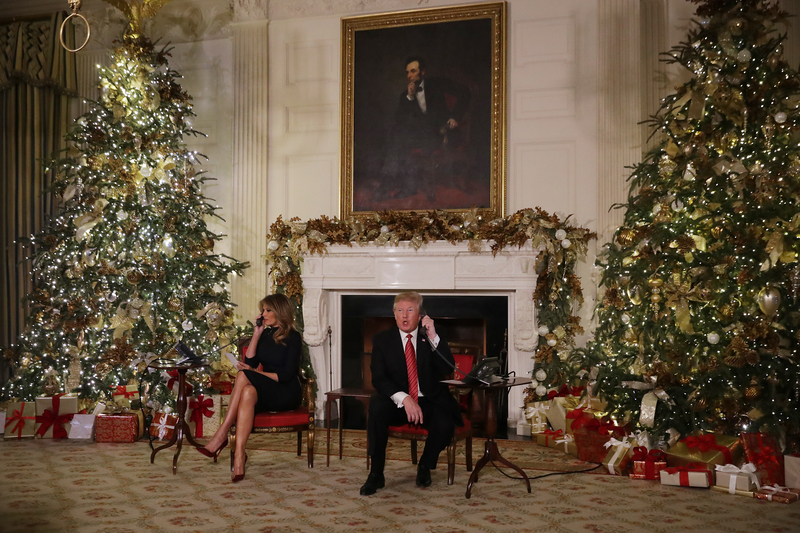 President Donald Trump said he would not feel right going on a planned Christmas vacation to his residence in Florida during a partial government shutdown during a Christmas Day session in the Oval Office. “I’d rather not be doing shutdowns … I wasn’t able to be with my family; I thought it would be wrong for me to be with my family … my family is in Florida, I just didn’t want to go down and be there while other people are hurting,” Trump said. The president was previously scheduled to spend more than two weeks in Florida for a Christmas vacation. Trump is demanding $5 billion in funding for a wall along the U.S. southern border with Democratic lawmakers saying they will give him no more than $1.6 billion. The showdown progressed into a partial government shutdown before the Christmas holiday with lawmakers expected to trudge back to Washington, D.C., on Dec 27. The president told reporters that no current progress has been made in terms of negotiations with Democrats and that he simply was waiting to see if lawmakers would give in to his demands.